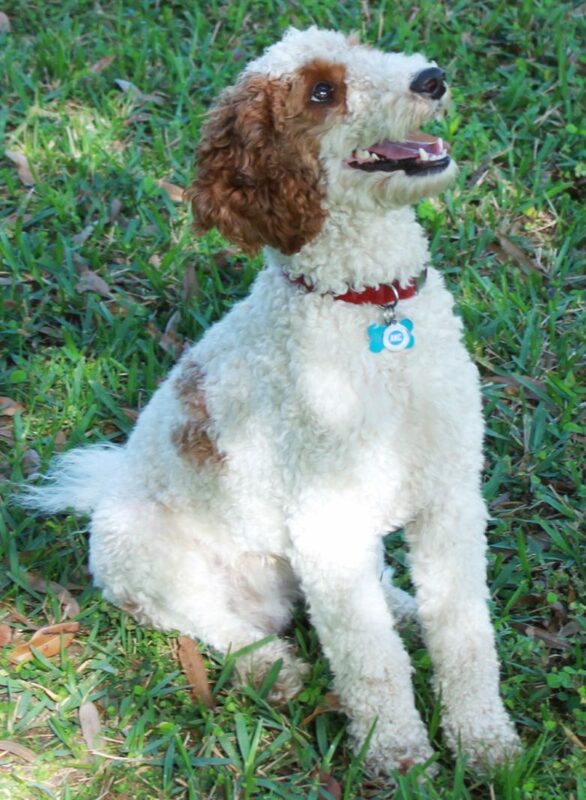 Our boy Patches is an AKC-registered, pure bred, Moyen, red Parti Poodle. We waited two years for him! He weighs about 23 lbs and stands about 17 inches tall at the shoulders. All of the ladies love him! 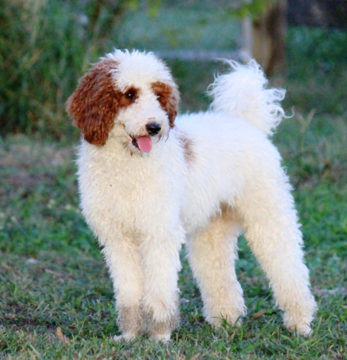 This little bundle of fluff changed our whole mindset about Poodles. He's playful when he's on the ground and all snuggles the moment you pick him up! Available for breeding. Stud fee $1500. 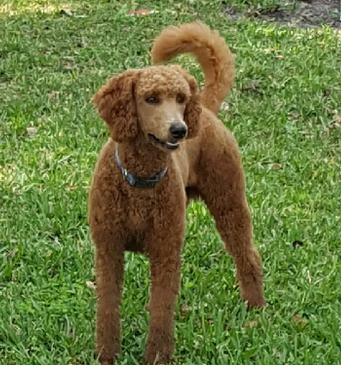 This stud boy is our CKC-registered, pure bred, red Moyen Poodle. He surprisingly weighs about 36 lbs and stands about 21 inches at the shoulders. This boisterous boy is very vocal and can jump great heights. His large personality offers an awesome balance with our very mellow mamas. 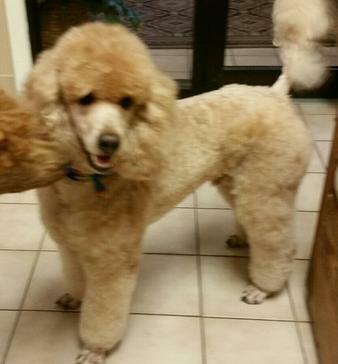 This stud boy is a Apricot Moyen Poodle. He stands 18 inches tall. This gentleman is with another local breeder. We only used him for one of our own litters. 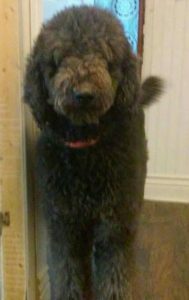 This stud boy is a Blue Standard Poodle. He stands 22 inches tall and weighs 40+ pounds. 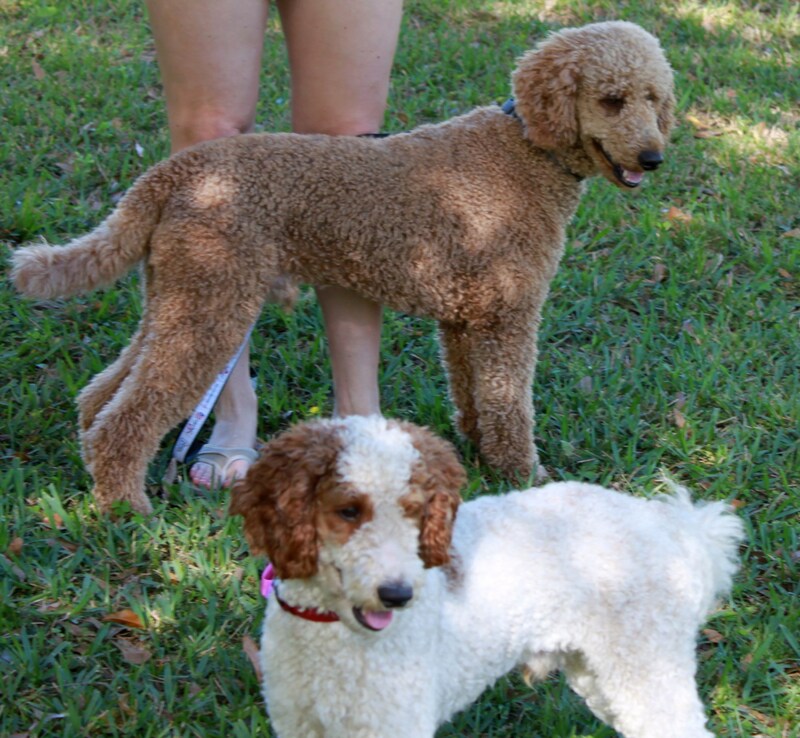 AKC and CKC registered. This guy is with another local breeder. We only used him for one of our own litters.